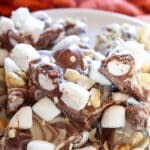 Filled with chewy marshmallows and crunchy peanuts, this Rocky Road Chocolate Bark is sure to be loved by chocolate-loving kids and adults alike this holiday season. Cookies may get the most talk this time of year, but there’s something even better about a treat that comes together in just a few minutes, looks impressive as a gift, and doesn’t even require you to turn on the oven. Barks, toffees, and fudge are my favorites among all holiday treats. When it comes to gift giving, what’s not to love about a recipe that provides multiple gifts in one fell swoop? 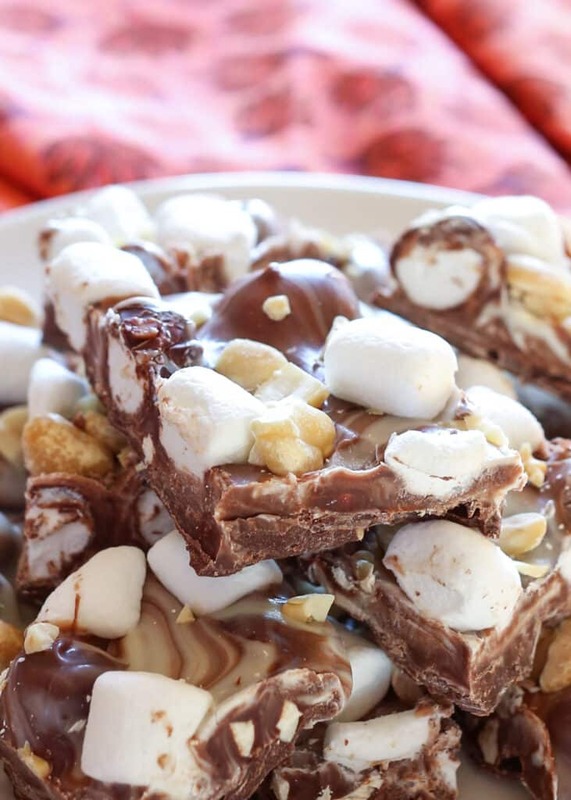 Rocky Road Chocolate Bark was born out of our happy obsession with hot chocolate and marshmallows. My kids love hot cocoa and just like my Grandma did with my hot cocoa, I like to fill the tops of their cups with marshmallows. 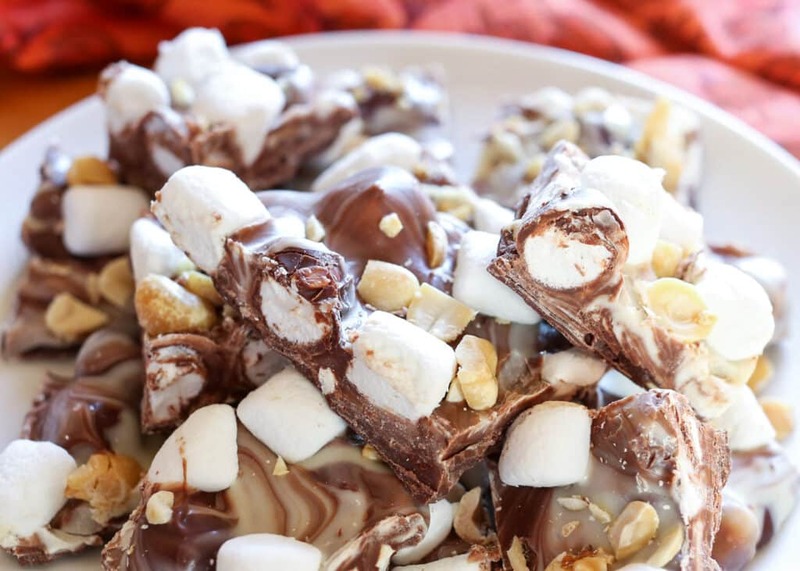 Whether the marshmallows are store bought or homemade, hot chocolate requires a handful of marshmallows. We made Peppermint Marshmallow Fudge last year and it was such a hit, I knew we’d be making another marshmallow filled treat this year. Once you’ve gotten the hang of making chocolate barks, the possibilities are pretty much endless! Looks very good and fun for the kids to make. Good Morning Mary: Love your recipe's. Love the fact they are from scratch. 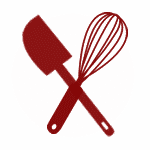 Nice recipe, thanks! What I'm not sure about is whether to store in the fridge or out on the counter at room temperature, once it's been broken up into pieces? I store my chocolate bark in the refrigerator. I also live in the desert, so the heat is always a factor in how I store my foods.